When I got an email from Abrams (the book publisher) about a new book called Pie it Forward and a special Pi Day baking event, of course I wanted to play. Even better, the book is written by the author of Sugar Baby, a book I reviewed here. To participate, people are supposed to bake a pie and give it to someone, along with the pie recipe, so those people an also bake the pie and pass it along. Wellllllll... I cheated. Just a little. I baked the pie, for sure. But instead of giving one whole pie to someone, I gave away slices of pie. Yep, I shared the pie joy in pieces. AND, I've got the recipe for you. See how generous I am? Because it's Pi(e) Day and I know you probably want to bake a pie soon, right? The recipe here suggests using one of two different crusts from the book, but feel free to use your favorite pie crust recipe for a double-crust pie. 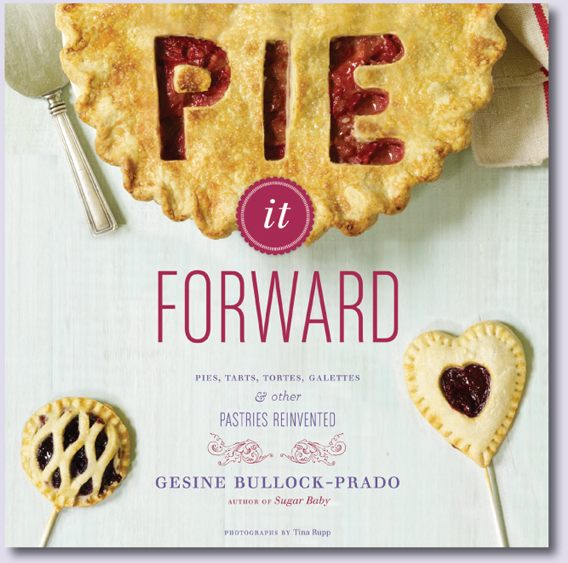 Or, you know, buy the book and indulge in all kinds of pie. 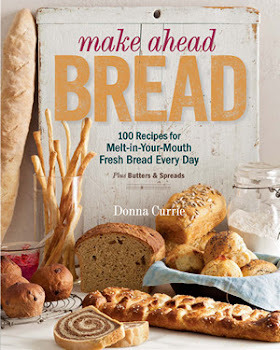 The "crust dust" called for in the recipe is a mixture of 1/2 flour and 1/2 sugar (by volume). This is supposed to keep the crust from getting soggy from the liquid in the pie filling. I used 1 tablespoon of flour and 1 tablespoon of sugar. The recipe calls for just a tablespoon, but the crust dust instructions said to use a tablespoon or two. Obviously, it's not a deal-breaker if you use a little more. Divide the dough into halves and return one piece to the refrigerator. Roll the remaining half into a circle approximately 11 inches in diameter. Use it to line a 9-incc pie plate. Chill it while you make the filling. Stir together the sugar, Clearjel, vanilla, nutmeg, and salt. (Note: you must stir the Clearjel with the sugar before you add it to the fruit). Gently stir the sugar mixture into the blueberries to coat them evenly. Remove the pie plate with the bottom crust from the fridge and sprinkle it with an even layer of crust dust. Add the blueberries and dot the top of the fruit with the small pieces of butter. Remove the second piece of dough from the fridge and roll it to approximately 10 inches in diameter. Cut it decoratively or just make a vent. Place it on top of the blueberries. Tuck the edges in between the pie plate and the lower crust and crimp the edges together. Brush the top crust with the egg wash and sprinkle it with sanding or turbinado sugar. Bake for 55 minutes, or until the top crust is dark golden brown, the filling is bubbling, and the bottom crust had browned (you'll only see this if you're using a glass pie plate). I don't have to tell you this pie was really, really good, do I? And the crust wasn't soggy at all. Perfect! So tell me, what's YOUR favorite kind of pie?